Fidget spinners are the latest craze and I’m sure, like me, you have endured the never-ending requests from the kids to buy one. I was almost sucked in last week but must admit I’m over these crazes which cost money and never make a comeback. I know I’m getting old when I start to tell my kids that crazes in my day used to make a comeback every year so you just tucked it back in the cupboard until it was time for the relaunch. Yo-yo’s, elastics, jacks, marbles and swap cards were what I remember seeing every year of my childhood. Master 9 loves Lego so when I told him I’d found instructions on how to make your own LEGO fidget spinner he couldn’t wait to get to work. Unlucky for him I think our vacuum had acquired some of the parts he needed but that just meant he had to come up with his own. After about 5 minutes he emerged with his very own fidget spinner and got to work starting on a fidget cube. If you would like the official LEGO instructions you can download them here. Otherwise, show the kids the pictures and let them come up with their own spin of a fidget spinner. Fidget spinners assist some kids who need help regulating their senses and emotions and fidget toys also restore calm and focus for kids who are overwhelmed in their learning environment. 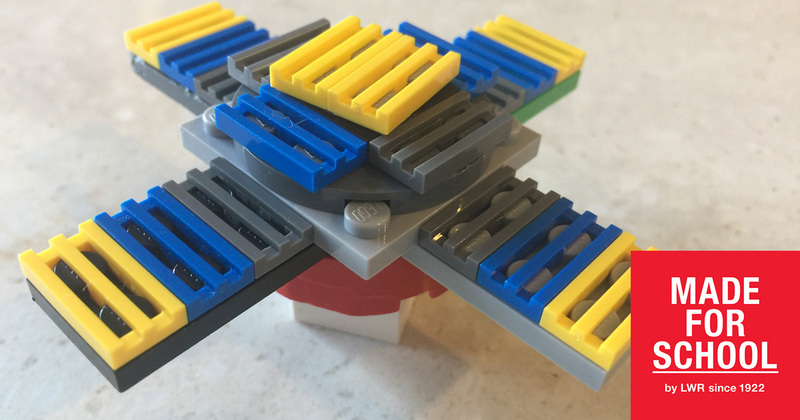 LEGO is another great tool to assist with that so why not build one out of LEGO and have a discussion with the kids about why some kids and people find fidget toys a help in their life.